The Personalised Knife Fork Spoon 4 oz Pewter Pocket Flask celebrates the ritual of family eating together, enjoying food, sharing stories and anecdotes. 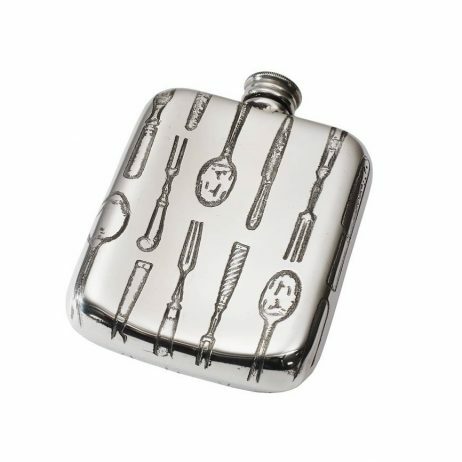 Personalised Knife Fork Spoon 4 oz Pewter Pocket Flask was created to be given to those dear to you as a gift to be cherished and to be there to create new memories and happy times. This hip flask is the perfect gift for men to bestow upon their brothers, fathers and best mates for it is a perfect and rare blend of masculine and sentimentality. Have this pewter flask engraved and personalised with your own special words. Something heartfelt, something humorous or simply a special date, it’s completely up to you what you have engraved on this very special gift to make it something to be cherished for a lifetime. The Personalised Knife Fork Spoon 4 oz Pewter Pocket Flask measures 9.5 cm in height by 8 cm in height and has a depth of 2 cm. 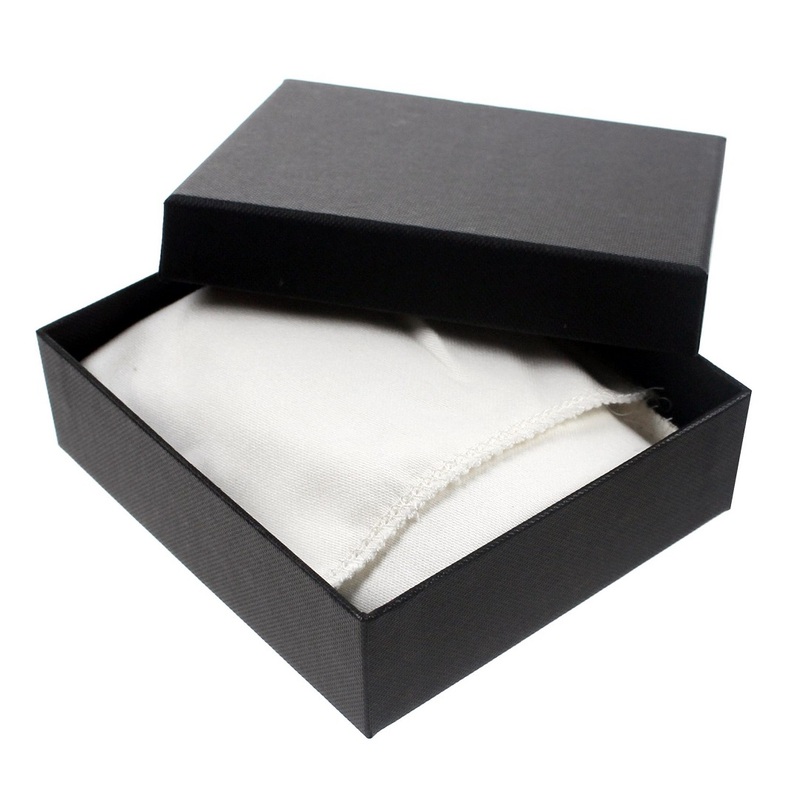 This wonderful gift can be kept in pristine condition by being polished with a silver cloth, widely available for little extra expense. 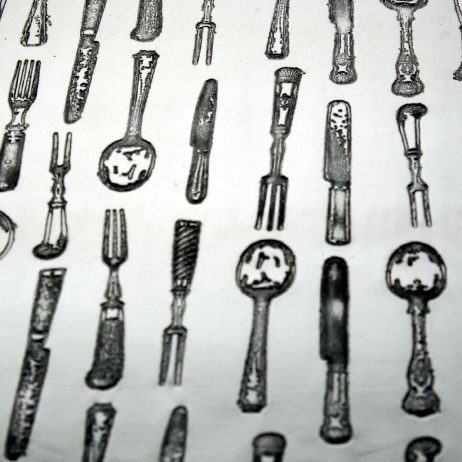 Why not personalise your gift? I was very pleased to receive my first item recently and now this is my 2nd purchase and I will now be a regular customer, best wishes. Thank you very much for the email. We were both impressed that you took the time to answer your phone while out today and that you’ve gone to the trouble to send an email this evening. Tankard arrived in good time thanks. Recipient delighted! Hi David, Just a quick note to thank you personally for the excellent service you provided. The Tankard arrived today, earlier than expected, and I am delighted with the product and the engraving. A real pleasure dealing with you. Hello David, Just a few words to say the flask arrived today and to say how delighted we are, not just with the product, but also with the absolutely first class personal service you have provided. We will certainly use your services again. With many thanks and best wishes. 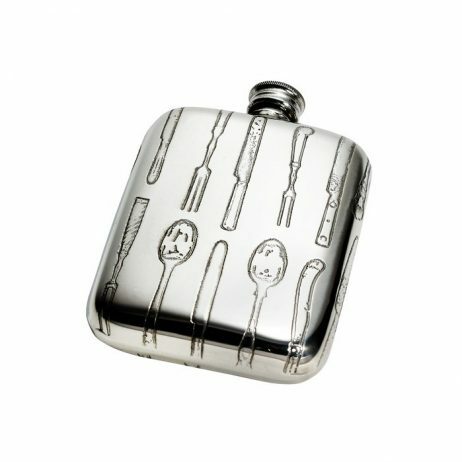 Free Delivery On All UK Orders + Free Engraving On All Silver Gifts & Hip Flasks!